The Sunday Post is hosted by Kimba @ Caffeinated Book Reviewer. On Sunday, I posted last-last week’s Sunday Post. On Monday, I shared Part 1 of the Studio Ghibli Appreciation Series — A Countdown of Miyazaki’s 11 Anime Masterpieces. On Wednesday, I shared Part 2 of the Studio Ghibli Appreciation Series — My Countdown of All 22 Studio Ghibli Anime Films. Here are the books I acquired this week. 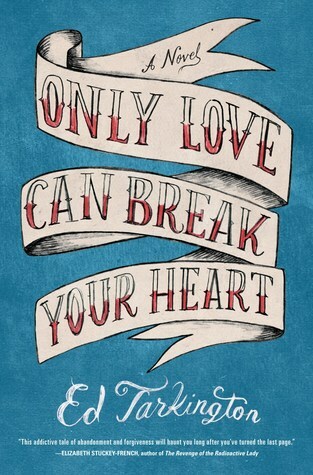 Only Love Can Break Your Heart by Ed Tarkington. [Goodreads] Thank you, Algonquin Books! Releases January 5th, 2016. 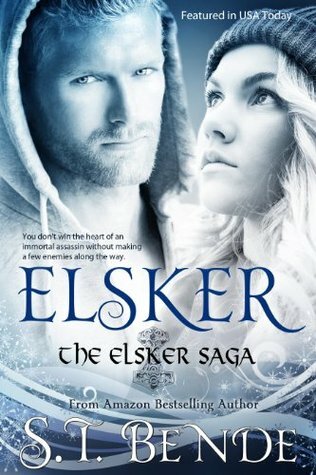 Elsker by S.T. Bende. [Goodreads] Benjaminoftomes’ Free Book Friday pick of the week. 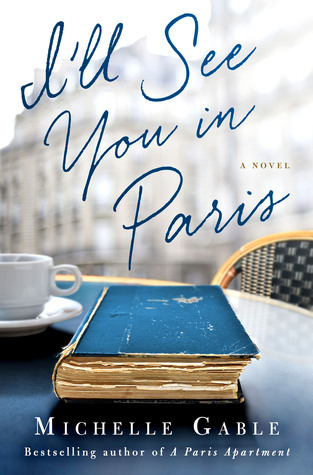 I’ll See You in Paris by Michelle Gable. [Goodreads] Thank you, Thomas Dunne Books and St. Martin’s Press! Releases February 9th, 2016. Here’s what I picked up from the library this week. Six of Crows by Leigh Bardugo. [Goodreads] Yay, I can’t wait to dive into this! It’s also so much more beautiful in person, what with the black-painted page edges. I’M FINALLY ON HOLIDAY BREAK! I haven’t read anything these past two weeks since life has been crazy this month. Last week I had super-long and stressful days at work Thursday, Friday, and Saturday but now I’m done until the New Year! Hooray! I’m hoping to finish reading The Trouble with Destiny ASAP but I’m debating returning City of Ashes to the library because it’s just not appealing at the moment. I am planning to immediately start Bohemian Gospel, and hopefully finally get to The Weight of Feathers, Six of Crows, some of the more recent ARCs I’ve received, and the other library books I’ve got out currently. I’ve got two weeks until things start up again. I’m hoping I can get a lot of reading done, but I’ll warn you that the blog might be a bit slow the rest of this month. I’ve already got my Top 5 of 2015 post scheduled, so that’s coming next week. And I’m hoping to get to the 2015 End of Year Book Survey soon, but that’s going to be time-intensive to write so don’t hold your breath. It’ll happen, I just don’t know when. I also have been meaning for months to write some sort of review/gush post on The Raven Boys but I don’t know if that’s going to happen… So much time has passed since I read the book that it’s likely I’ll just never get that review up. And that’s sad, because The Raven Boys is such an amazing book and I feel terrible for not writing anything about it. Sigh. As for reading and blogging resolutions in 2016… I’ve been thinking about writing a Monday Musing about my goals. But as of right now, my main plans are that 1) I’m not going to be participating in any challenges other than my usual “read 100 books” Goodreads challenge, and 2) I’m going to read what I want to read, and I’m going to blog how I want to blog. I don’t want to read some book because everyone else is reading it if I’m just not that interested. I’m also going to DNF more books that just aren’t holding my attention (I can name a few books from this year that I now wish I’d DNF-ed: Mosquitoland, Tangled Webs, Silver in the Blood). I’m going to decide what series to drop (expect a post! That’ll be fun to write up, haha) and I’m going to worry less about my TBR pile. Basically, I just want less to worry about/nag at me in terms of reading and blogging. Things won’t change too much, but after more than a year of blogging now, I’ve figured out ways to improve and make myself happier. In case I don’t blog much this week, Happy Holidays to you all! Making yourself happy is so important! I hope you enjoy Six of Crows! Anyway, I think your plan about going easier on yourself re: blogging is a great one. I’m definitely in favor of reading what you want to read (where’s the fun if you don’t, am I right?) and I hope 2016 is a marvelous reading year for you! But before that–I also hope that you thoroughly enjoy your holiday break. Read lots of good books and have a lovely rest of your year! 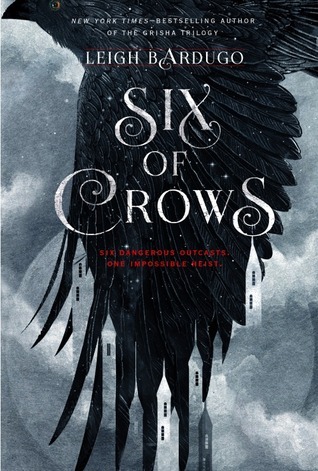 Ooooh, now I’m SUPER excited to read Six of Crows and The Weight of Feathers! And thanks — I’m so happy that so many people have been supportive of my decision to go easier on the blogging this year. I wish I could sustain posting almost every day, but after more than a year of blogging I’ve learned it’s just not realistic if I want to keep myself from burning out at various points. I’m going into 2016 feeling very refreshed and energized about blogging, actually! AND HAMILTON. It’s brilliant, right? I admit that I haven’t listened to it obsessively (i.e. I can’t actually sing along to the entire musical, but I do know “Helpless” pretty well!) but I’m a huge fan and I really REALLY wish I could go see it. What’s you favorite song from it? And blogging for oneself if SO important and very much needed nods sagely I’m actually taking a few days off because I feel a little depleted. I’m just going to gnaw on some books I’m really excited for and just relax. hehe. Yes, depleted is a good word. Nods sagely back. I really want to avoid feeling so depleted when it comes to blogging. I’m not going to worry about posting almost every day now. I’m aiming for four posts a week, three if I don’t have the time or motivation. Already I feel refreshed going into 2016!